A bottom bracket is a piece that goes in the bottom of your frame so your cranks can spin freely while you're riding. These bearings need to be replaced every now and then to ensure that your bike is performing the best it can. Not all bottom brackets are created equally though with ceramic bottom brackets performing much better than regular steel bottom brackets. 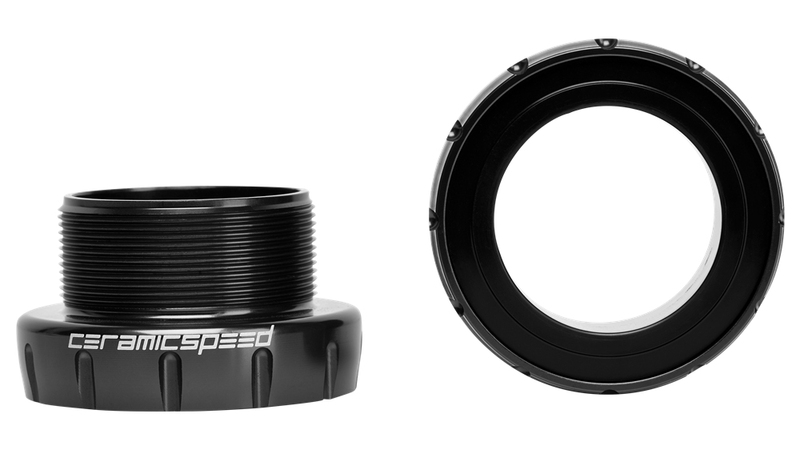 The CeramicSpeed BSA29 MTB SRAM Dub Bottom Bracket is a bottom bracket that offers bearings with extremely low friction, improved power transfer, and a service life that far exceeds traditional steel bearings. It features grade 3 silicon nitride balls, hardened races, and a reinforced polyamide cage and non-contact seals.